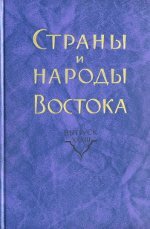 Countries and Peoples of the East [Страны и народы Востока] / General editor of the series M.N.Bogolyubov. Ed. by I.F.Popova and A.M.Reshetov. Vol. 33. Moscow, Vostochnaya Literatura Publishers 2010. On March 17, 2017, at the Far Eastern Studies Seminar organized by the Department of Far Eastern Studies of the IOM RAS, T.I. Vinogradova will submit her presentation After Alekseev: Analysis and Publication of Chinese Folk Pictures by V.M. Alekseev. Dedicated to the 90th Birth Anniversary of Maria Leonidovna Rudova.